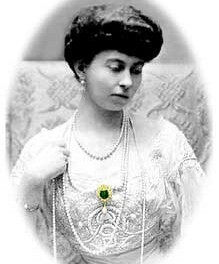 Highlighted are amazing fine jewelry brooches and pendants dating from the Edwardian era. In England, the Edwardian era spanned the years covering the reign of King Edward VII, 1901 to 1910. Circle brooches with lacy filigree designs set with precious stones were very fashionable. Diamonds and pearls set in gold demonstrated the sophisticated elegance and opulence of the era. These photos will be helpful in dating antique Edwardian jewelry.